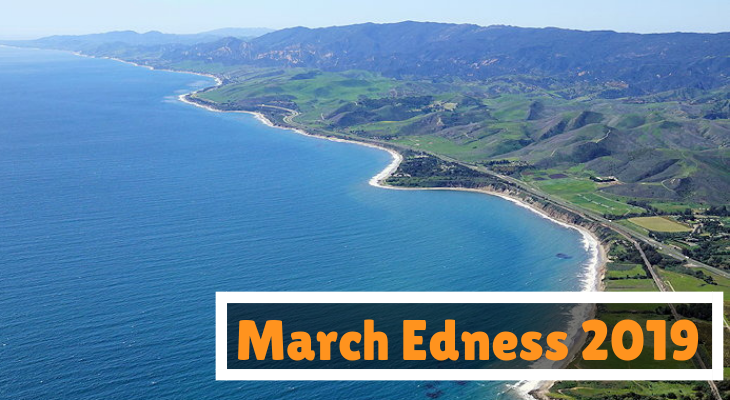 Reminder: March Edness Begins March 4th! March is just around the corner, and for all of you dedicated edhat readers, you know what that means…. March Edness is almost here! For those that are new to edhat, March Edness is a fun and highly competitive photo hunt game that questions how well you know your local area. Or just how well you remember details about your surroundings. Every weekday in March (Monday through Friday), beginning on Monday, March 4th, we’ll post a cropped photo on edhat at midnight. You then have until 8:00 pm that same day to guess the location in that photo. The first week we start off easy and then progressively increase the challenge through Week 4. At the end of Week 4, the top three winners will be announced. Since this game is only for paid edhat subscribers, don’t forget to renew your membership to be eligible to play and win prizes. Very exciting news to announce. This year our March Edness party will also be celebrating edhat's 15th anniversary! 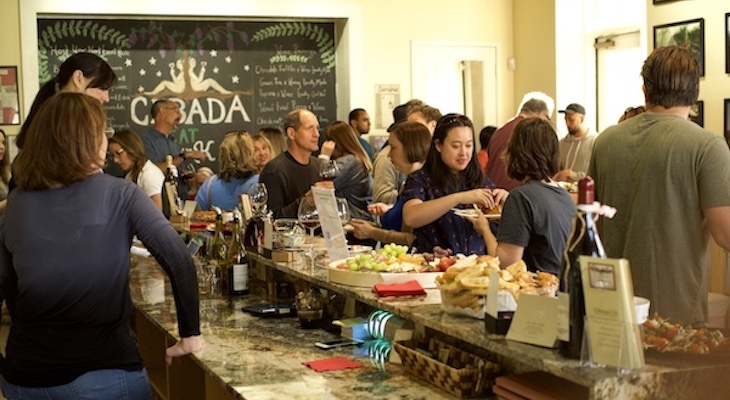 Put a reminder in your calendar for Wednesday, April 24th at Carr Winery from 5:30 - 7:30 p.m. to meet the edhat staff, March Edness winners, and other local edhat readers as we ring in edhat's 15th birthday. More details to come on this exciting party. Below are the rules for the game in their entirety but email us at ed@edhat.com with any questions. 1. All pictures taken, cropped, and displayed for March Edness are located and chosen by Ed and the dedicated staff of edhat.com, without any help or suggestion from any member of the community, subscriber, contestant, politician, third-party locator, voice of a higher-beings, or any other powers that be. 2. One picture will be shown every weekday for twenty days, beginning on Monday, March 4, and ending on Friday, March 29. 4. Only paid Edhat Community Members can play March Edness. Click here to check your status or purchase a membership. 5. Pictures will be placed on the Edhat website each weekday at midnight. 6. Entries must be received by 8:00 PM on the same day that they are first shown. 7. The number of points awarded for the correct identification of a picture increases each week. 8. Contestants are asked to be specific. Please add as much information as you can to prove you know the location in the photo. For example: “State Street in Santa Barbara” will not be awarded points. 9. All decisions as to whether or not a contestant receives points, how many points he or she receives, and whether or not he or she was specific enough are made by Ed and the dedicated staff - and they are final. 10. Friends & Family Rule: Good friends, married couples, brothers, sisters, and soul-mates, and all those who share information with each other are required to enter the March Edness Contest as one entity. I think my average for correct answers over the years is about 1 out of 100. But, the fun group and excitement keeps me engaged. Team mfitch54 has been getting excited since about Feb. 7! We love March Edness. We've been spending all day every day driving around, memorizing sculptures, signs and fence posts. I love this game. Roger, Roger, he's our man. If Roger can't do it, nobody can! Sis Boom Bah! Roger's going all the way, Rah, Rah, Rah! Easy Easy, we are still enjoying our BPW team Camster win :) :) !!! I think I'm going to win this year. my fave time of the year. This contest is a teaching lesson for those of us who aren't able to name the item in the photos. We can be sure to take notice of them when in the vicinity and hopefully become more observant of our surrounds. Congratulations for the win, Holazola! Oops—I guess I'm jumping the gun a little. Roger, you going to play again this year? Lots of fun last year. Good luck, everyone.